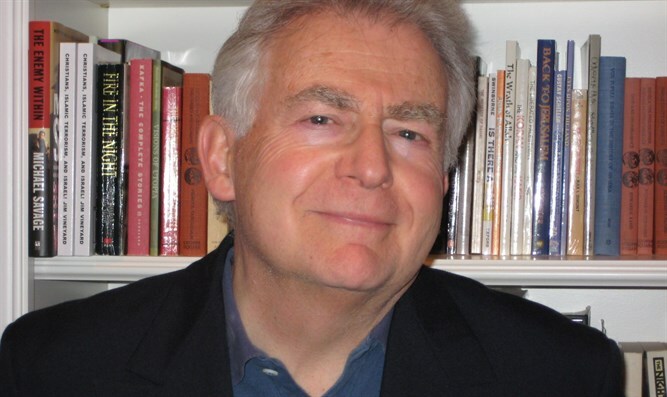 Exclusive to Israel National News, an article by a foremost expert on nuclear war: America's multiple mistakes on North Korea are being replicated by Israel's cascading failures on Iran. Will Iran become the next North Korea? For a short window of time, at least, selective preemptions against certain Iranian nuclear assets and corollary infrastructures might still have made overall strategic sense. 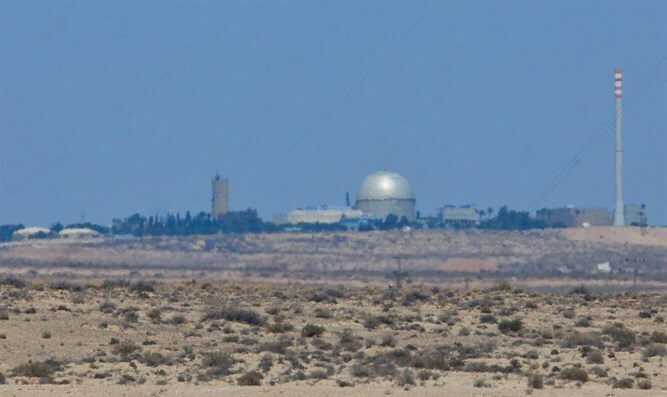 Now, however, for Israel, the country most directly threatened by a prospectively nuclear Iran, rational self-defense options must be limited to narrowly reactive counter-measures. Above all, this means conspicuous reliance for Jerusalem upon long-term nuclear deterrence and ballistic-missile defense. There is more. If Israel's senior military planners operate according to a properly fashioned strategic doctrine, these still-remaining options should include a graduated end to Israel's policy of "deliberate nuclear ambiguity," or what is sometimes called the "bomb in the basement." Included, too, would be continuous engineering upgrades to all intersecting and multi-layered missile interceptors, and certain parallel efforts aimed at enhanced national plans for intelligence, counterintelligence, cyber-defense and cyber-war. In specific military parlance, because these plans would be inter-penetrating or "synergistic," they could suitably represent more-or-less powerful "force multipliers." Israel's defensive anti-missile programs can do nothing toward slowing down Iranian nuclearization, but they could nonetheless become useful adjuncts to national nuclear deterrence. Earlier, a successful and timely preemption might still have prevented a nuclear Iran. Now, Israel's defensive anti-missile programs can do nothing toward slowing down Iranian nuclearization, but they could nonetheless become useful adjuncts to national nuclear deterrence. This reinforcing development would come about because the rationality of any contemplated Iranian attack upon Israel would likely be impacted by Israel's already-deployed hard-target protections. With visibly capable Israeli ballistic missile defenses in place, Tehran would require a steadily increasing number of offensive missiles to ensure its presumptively necessary penetration capacity. Such defenses, therefore, constitute a vital component of Israel's overall deterrence posture. It is true that Israel's active defenses could provide certain more-or-less limited physical protections for its civilian populations. However, any such post-attack "soft-target" benefits would be plausibly less important than those defense-related Israeli gains associated with enhanced nuclear deterrence. Whether rational, irrational, or "mad" - and there are genuinely crucial differences between these three decisional possibilities - any nuclear-capable Iranian leadership that eventually inclines toward military conflict with the "Zionist Entity" could initiate a nuclear war. Whether deliberately or inadvertently, as a "bolt from the blue" or as an unintended result of escalation, in consequence of some inexorable religious commitment to Jihad against "unbelievers," or as a calamitous result of more mundane war-causes (for example, miscalculation, accident, coup d'état, or command-control failure), a nuclear Tehran could ignite a treacherously Dantesque excursion into fire, into the eternal darkness, into ice. More than thirty-seven years ago, I published the first of twelve books that contained certain authoritative descriptions of the physical and medical consequences of any nuclear war. These earlier descriptions were drawn largely from a still-valid 1975 report by the National Academy of Sciences, and included the following very tangible expected outcomes: large temperature changes; contamination of food and water; disease epidemics in crops, domesticated animals, and humans due to ionizing radiation; shortening of growing seasons; irreversible injuries to aquatic species; widespread and long-term cancers due to inhalation of plutonium particles; radiation-induced abnormalities in persons in utero at the time of detonations; a vast growth in the number of skin cancers, and increasing genetic disease. Overwhelming health problems would afflict the survivors of any Iranian nuclear attack upon Israel. These difficulties would extend beyond prompt burn injuries. Retinal burns could even occur in the eyes of persons very far from the actual explosions. Tens of thousands of Israelis could be crushed by collapsing buildings, or torn to shreds by flying glass. Others could fall victim to raging firestorms. Fallout injuries would include whole-body radiation injury, produced by penetrating, hard gamma radiations; superficial radiation burns produced by soft radiations; and injuries produced by deposits of radioactive substances within the body. After an Iranian nuclear attack, even a "small" one, those medical facilities that might still exist in Israel could be taxed beyond meaningful capacity. Water supplies could quickly become unusable. Housing and shelter could become unavailable for hundreds of thousands of survivors. Transportation would break down to rudimentary levels. Food shortages could be critical and long-term. Israel's normally complex network of exchange systems would be shattered. Virtually everyone would be deprived of even the most basic means of livelihood. Emergency police and fire services would be decimated. All systems dependent upon electrical power could stop functioning. Severe trauma would occasion widespread disorientation and psychiatric disorders for which there would likely be no available therapeutic services. Normal human society would effectively cease. The pestilence of unrestrained murder and banditry could quickly augment plague and epidemics. Many of the survivors would expect an increase in serious degenerative diseases. They could also expect premature death; impaired vision, and sterility. An increased incidence of leukemia and cancers of the lung, stomach, breast, ovary and uterine cervix would be unavoidable. Extensive fallout could upset many delicately balanced relationships in nature. Israelis who survive the nuclear attack might have to deal with enlarged insect populations. Like the locusts of biblical times, mushrooming insect hordes could spread en masse from the radiation-damaged areas, in which they arose. Insects are generally more resistant to radiation than humans. This fact, coupled with the prevalence of unburied corpses, uncontrolled waste and untreated sewage, would generate tens of trillions of flies and mosquitoes. Breeding in the dead bodies, these insects could make it impossible to control typhus, malaria, dengue fever and encephalitis. Throughout Israel, tens or even hundreds of thousands of rotting human corpses would pose the largest immediate and also longer-term health threat. Assuredly, all of these same effects, possibly even more expansive and destructive, would be unleashed upon Iran. This is because an immediate and massive Israeli retaliation for any Iranian nuclear aggression would be a certainty. Still, Iran's comparatively greater suffering could offer little meaningful solace for Israel. In purely strategic terms, this greater enemy suffering would plainly be irrelevant. In essence, nuclear war is like any other incurable disease. For Israel, the only reasonable remaining strategy must lie in prevention. Barring any unlikely eleventh-hour preemptions against Iran - protective first-strikes that would be known as anticipatory self-defense under international law - Israel will have to turn for its ultimate survival to a complex, well-reasoned and multi-layered survival strategy. Here, core emphases would be placed on improved anti-missile interceptions, and on steadily enhancing levels of nuclear deterrence. Unsurprisingly, such remedies would closely resemble residual American options vis-à-vis an already nuclear North Korea. One final "systemic" point should now be made about the North Korea-Iran connection. In addition to Pyongyang's likely technical assistance to Tehran (North Korea has long maintained tangible military relations with Damascus), any American crisis with North Korea that culminates in nuclear weapons use would put an immediate and obvious end to the longstanding "nuclear taboo." Among other things, this would almost certainly heighten the particular likelihood of a subsequent nuclear attack or exchange involving Israel and Iran. World politics is best understood as a system. Presently, America's multiple mistakes on North Korea are being replicated by Israel's cascading failures on Iran. Significantly, what ultimately happens in either hot spot could have very grave consequences for the other. In this connection, Jerusalem should now pay exceptionally close attention to all probable crisis outcomes in Washington and Pyongyang.